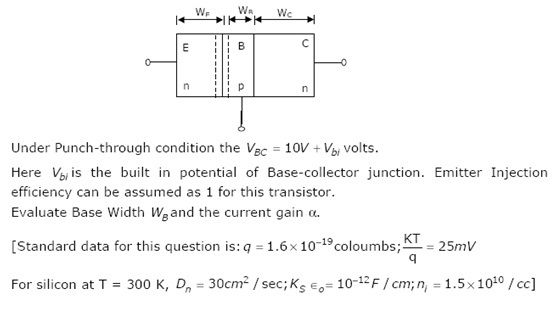 transistors is high and base currents to be negligible. 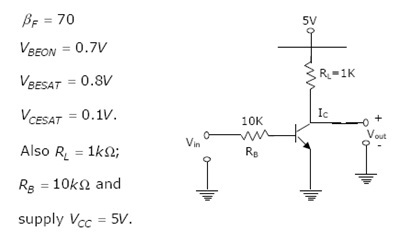 VT = 1 volt, and IDS = 0.5 mA. 3. 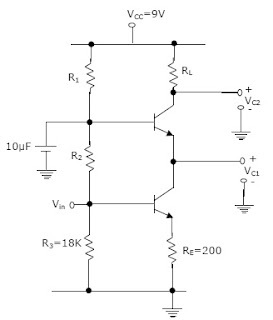 Find static noise margins for a BJT inverter shown in figure. 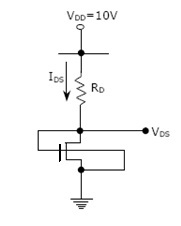 Transistor used is an npn type with specifications as follows. to a concentration 4.5 x 1013/cm3. The bar has cross section of 1 mm2 and length of 10 cm. It is illuminated uniformly for region x<0 as shown in figure. per second, for this case. 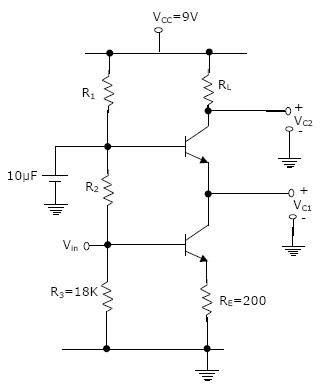 The hole lifetime and electron lifetime are equal to 1µsec. 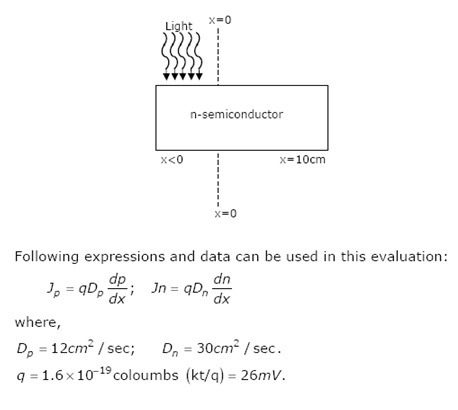 Evaluate the hole and electron diffusion current s at x = 34.6 µm.